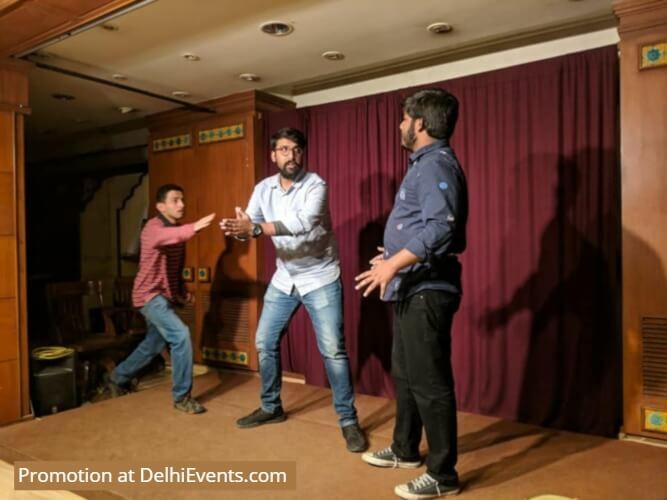 Improvisation or Improv is a form of live theatre in which the plot, characters and dialogue of a game, scene or story are created in the moment. It’s also the art of performing without knowing what you are going to do ahead of time. The participants will practice and learn to play with spontaneity and trust their own impulses through techniques based on the methodology of British-Canadian pioneer of improvisational theatre, Keith Johnstone. Open to newcomers as well as theatre practitioners, the 3-hour sessions will enable participants to connect scenes and build a narrative structure using relationships, characters, status and emotions concluding with performances applying both short and long form improvisations.